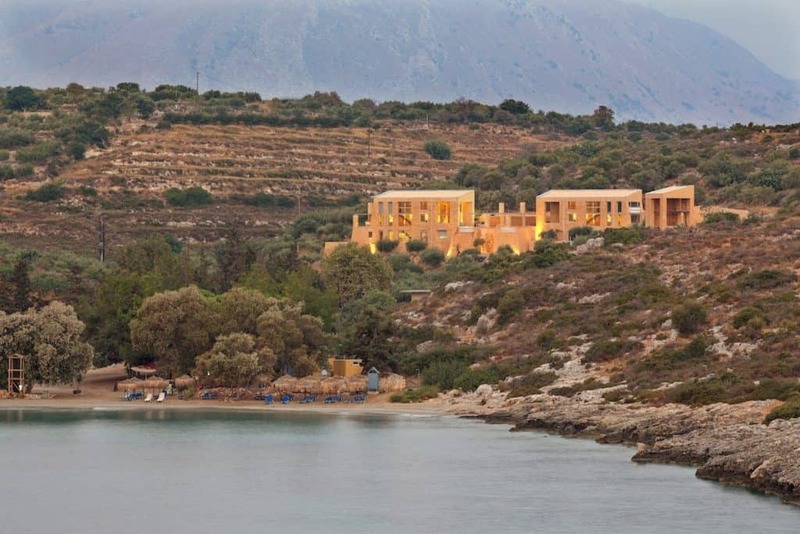 Olea Villas are designed by Aristomenis Varoudakis, one of the most famous architects in Crete, using local materials of wood, stone and glass combined with traditional yet modern craftsmanship. 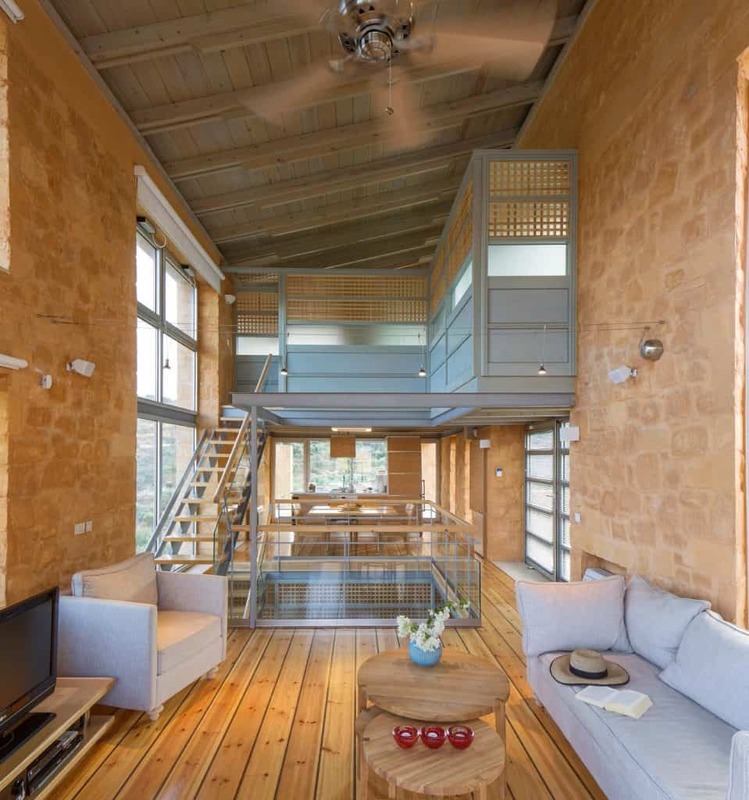 They are an architectural delight, featuring airy rooms with large windows bringing nature to you. The interiors mix simple elegance and beautiful design with comfort and luxury. Loutraki is a small cove on the southern tip of the Akrotiri peninsula in Chania. Close to the city, yet it feels like you are far away from it. Within walking distance from the villas and protected from strong winds, there is a quiet sandy beach, great for everyone. Nearby there are also more beaches to explore within Marathi Bay. It is the perfect location for your relaxing, peaceful, getaway vacation. Within walking distance from Olea Villas a sandy beach with crystal clear turqoise waters awaits you. 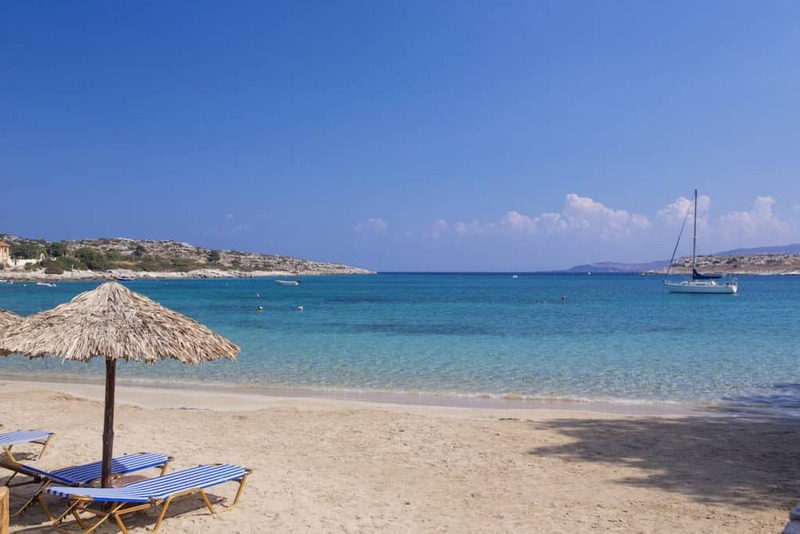 Enjoy your swim or have a greek salad at the seaside restaurant. If you feel adventurous, you could also explore the cove with a sup board. Furthermore, Marathi Bay is located only 1.8km from Olea Villas, with more seaside options:three amazing beaches for you to explore or to discover the local gastronomy at the beachside tavernas. Matan K - Truly Amazing! Megan E - An AMAZING stay!! Alina S - Superb villa and wonderful people, we will be back for sure!